Like all of D.G. Kaye’s books, I was eager to read her latest – a follow up to Conflicted Heart. P.S. I Forgive You – A Broken Legacy is Kaye’s most heart wrenching and intense book to date. Not surprising, considering the subject of this memoir. It is D.G. Kaye’s and her siblings’ attempt of freeing themselves from the clutches of emotional neglect. P.S. I Forgive You – A Broken Legacy is a testimony to the painful effects of her mother’s gambling addiction on her and her siblings. Anyone who has lived with an addict knows how destructive it can be, how much it creates guilt, resentment and a feeling of low self esteem. P.S. I Forgive You is heartbreaking to read but D.G. Kaye’s strength and ability to offer an honest examination of her experience is an inspiration to anyone who has found themselves with the difficult decision of turning away from a toxic relationship. Most importantly, in Kaye’s difficult journey to self love and acceptance she offers hope in her struggle to love a mother who was not able to provide the same for her children. A tender, well written book. Glass Slippers and Stilettos is a collection of ten short stories as seen through the eyes of Linden’s protagonist, Regina. In the story titled Driving Regina, whereby Regina is involved in an accident, Ana Linden writes: Little does he (the driver of the car Regina has run into) know that Regina has such emergencies once a week. This pretty well sums up Regina, along with this other line: Men lovers are her recreational drug. Linden’s characters don’t have names. Instead she refers to them as Boyfriend, Lover, The Assistant, Kid, Mr. Impeccable Pedigree, and Inconsiderate. Using this technique is clever as it allows the reader to identify easily with the characters. Haven’t we all met such people in our own lives? In some ways, Regina is a contemporary femme fatale (minus the crime) for she possesses traits often found in this archetype of literature: gold digger, selfish, heartless, manipulative, opportunist, sense of entitlement both with her friends, lovers and at work and an accomplished liar. Although it is difficult to like Regina it is also difficult to put her down. You can read excerpts from Glass Slippers and Stilettos here. D.G. Kaye’s recent memoir Have Bags, Will Travel reminded me how much I’d neglected the travel section of my blog. Be prepared to have your heart chuckling and your lips smiling as you read through D.G. Kaye’s amusing travel adventures. Although the main theme of the book is on her affection for shopping it’s also a memoir like no other as she holds your hand and guides you through her unforgettable trips to Paris, London, Greece, Venezuela and Vegas. You meet her friends who are almost as zany as she is and she ponders on the good old days of travelling and her sadness to see the old charm of her beloved Vegas fade away. Thank you Bryan Stone, a fine author and blogger, for inviting me to participate in this blog tour. Bryan is working on his third Kay Francis cozy mystery novel. I’ve read the first two in the series (Murder at the Belmar and Midnight in Valhalla) and can hardly wait to read what the actress is up to this time. I also follow his blog not only because I like the content he posts but also because of his eloquent style of expressing himself. Whenever I read either one of his novels or his posts I feel like I am getting a lesson on how to write well. This blog tour requires that I answer 4 questions about my writing process and then nominate the blogs of two or three other writers who inspire me, to do the same. Right now I am in between large projects. I’ve just sent a short story titled The Benefit of Tears to ROOM Magazine’s short story competition. I have to thank Bryan for this as his post on Nathaniel West made me go back to reading The Day of The Locusts and came across this line: only those who hope have the benefit of tears, thus inspiring me for the title of my story. Thank you, Bryan. My crime novel The Protectors is off trying to grab the attention of a publisher while I’m still debating about self-publishing my women’s fiction novel The Dating Club. I am in editing mode for this novel, preparing to send out to Beta readers. I also have a sequel to The Protectors in the works. As for my blog, I like to have series. I am someone who can get bored fairly easily and so the notion of a series appeals to me. Once finished I can go on. You can read these series on my blog: Ten Great First Dates, Writers’ Desks, Female Nobel Prize Laureates and Femmes Fatales. I think that The Protectors is more of a literary novel with a crime occurring in it rather than a traditional mystery novel. It’s not a who-done it for from the get go the reader pretty much knows who committed the crime. I am a criminologist by profession and so I am interested in the whys of crime. In The Protectors, I have three criminals: a serial killer, a destitute woman and a cop, each with different motives and past histories tangled up with their crimes. I like to push the social and psychological button. As for The Dating Club, it’s different in that, although it can be categorized in “chick-lit” its protagonists are older and more concerned with issues such as death, mortgages and loneliness in middle age. The novel examines the effects of an absent father on a woman’s future relationships. My novel Mourning Has Broken is also different in that it is a connected essays on grief. For those interested, I have posted excerpts on my blog. The simple answer to this question is because I must. In some ways it is the writing that chooses me and not the other way around. Oh, this sounds like such a cliché but it’s true. I am such a disorganized person when it comes to writing. I take all these notes down that I never use. I started to write Mourning Has Broken when my sister died after a five year struggle with lymphoma. I told myself that I would write for a year whenever I fell into the grieving well. What surfaced was a collection of essays on mourning. After that year, I re-wrote, hired CreateSpace to edit it (which I have had pointed out still has mistakes) and published through Createspace. Otherwise, on a normal writing day (everyday) I make myself a cup of tea and read in bed to motivate myself to whatever it is I am working on that day, whether it’s my novels, a synopsis, a query letter or a blog post. Who’s Up Next on my Writing Process Blog Tour? The purpose of this blog tour is to offer support to fellow bloggers, to expose their writings to a larger audience and so I invite you to take notice of what these wonderful writers are up to and to follow them next week as they post their own writing process. She is a nonfiction writer of memoirs about life experience, matters of the heart and women’s issues. D.G. began writing using it as an emotional tool to sort and express her emotions back from her days growing up in an emotionally turbulent childhood. D.G. writes to share her stories about emotional conflicts, overcoming, and she digs deep within to analyze where emotions stem from and how they play into our older selves. D.G. Kaye is the author of Conflicted Hearts and Meno-What? A Memoir. 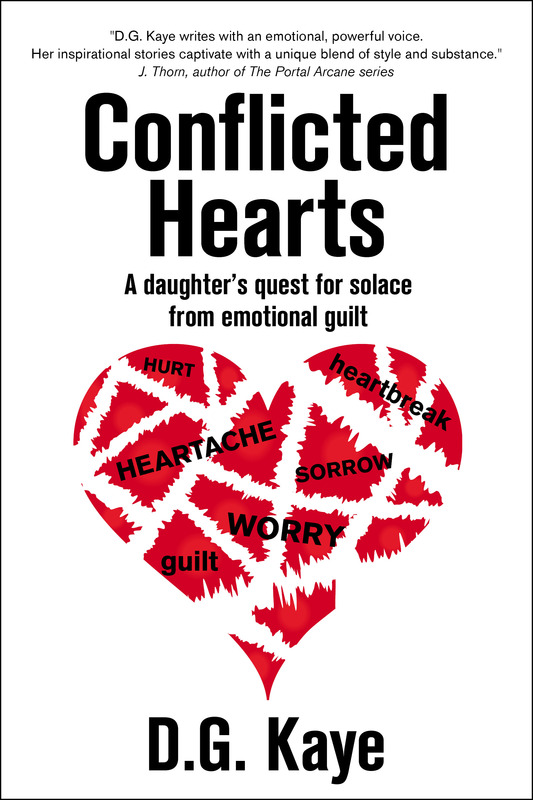 D.G.’s debut book, Conflicted Hearts – A Daughter’s Quest for Solace from Emotional Guilt delves into her emotional struggles as a child, growing up with a narcissistic mother. Her newest book, Meno-What? A Memoir is a humorous and informative journey she shares about the pitfalls of menopause. D.G. also blogs about life, her opinions on people and events and she also shares helpful articles about the writing world. D.G’s favourite quote is: Live Laugh Love . . . And Don’t Forget to Breathe! I have read both her books and have loved them equally as well. Her voice is authentic and writes with honesty and perception. You can follow D.G. on twitter, facebook, her author page on Amazon and her website. Claudia Anderson is a writer who specializes in fantasy fiction and creative non-fiction. She authors a blog titled Humoring the Goddess: Managing the Madness and Magic of Middle Age (www.humoringthegoddess.com), sharing the humorous and often confusing side of life after 50. She also is a frequent contributor to the blog at Retirement and Good Living (www.retirementandgoodliving.com) , and a Copywriter for Imagine Publicity (www.imaginepublicity.com). She has been published in the Wisconsin Regional Writer, Paper Tape, and the Peninsula Pulse. She has written several novels dealing with time travel, romance, and mystery, and is working on getting them published. When not writing, Claudia is an Internet Data Conversion Specialist Analyst for a catalog distribution company. She is happily married, with two grown sons and one adorable grandson. One of my favorite quotes of hers is from her post Ten Ways To Become a Better Writer: the dreams of those who have only a high school degree are no different than those with a Ph.D. It is what one does with those dreams that matter in the long run. You can read the full post here. Grace Lessageing writes a blog titled Anecdotage where she writes about what is important to her in her life: children, music, food, health. 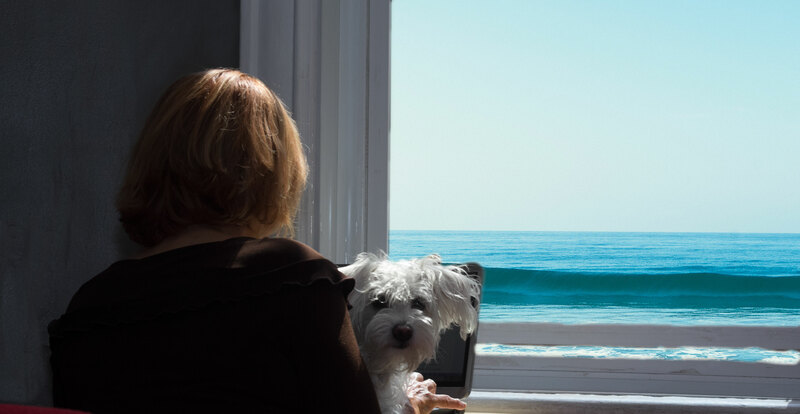 Writing as Jane Dean she is the author of A Year of Familiar Strangers, a novel about a marriage falling apart as she faces the empty nest syndrome. She runs a writing group called the Spokes and also writes a weekly, meandering blog about anything she think of, including ageing, life, society and current affairs. She is also leader of a creative writing group and lives in Bournemouth UK. Her novel is available here.